I can now announce that I am in Asheville's ZaPow Art gallery! 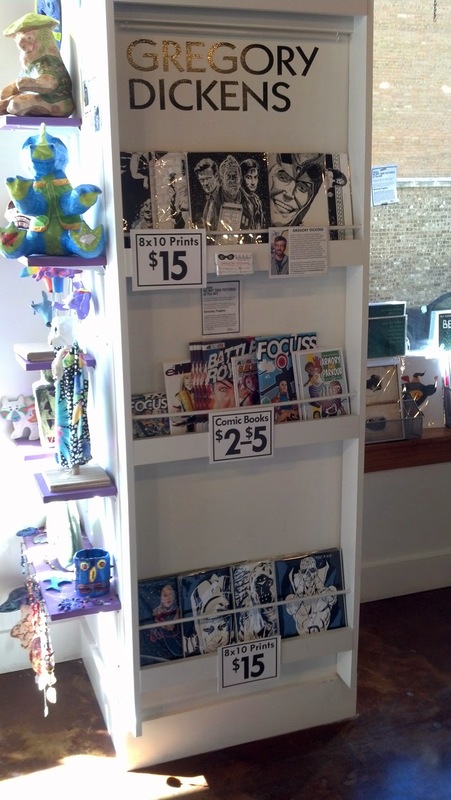 ZaPow carries a collection of prints (currently 8x10s) and all my comics. This extends my Ashveille empire (Comic Envy, Downtown Books and News) to yet another locale, and there are plans to add at least one more by summer. ZaPow is a permanent mini-convention with dozens of artists' items for sale, including prints, paintings, sculptures, and photographs. They even have steampunk goggles.